The Shepherd’s Cottage is an 18th Century thatched building with arched gothic windows nestled on the edge of a medieval wood and overlooking extensive lakes. 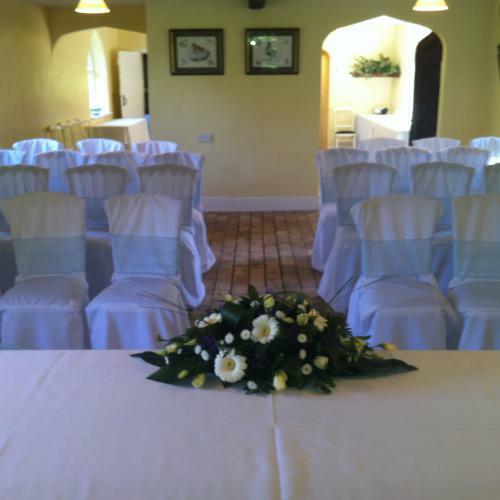 It is licensed for civil ceremonies, partnerships and wedding breakfasts for up to 40 guests. There is a large enclosed garden and patio area outside and inside there are beautiful features such as an open log fireplace and original brick floor. This is the perfect venue for an intimate occasion with friends and family.